There aren’t a lot of wheel companies that owners of a BMW M4 GTS would consider kosher. After all, the BMW M4 GTS is a street-legal beast that comes with all the bells and whistles usually reserved for full fledged track cars. In order for this vehicle to slightly improve its performance levels, a set of custom aftermarket forged wheels might do the trick. After all, every pound/kilo of unsprung mass adds to the handling in positive or negative ways. For the owner of this M4 GTS, the choice was simple: HRE R101 Ligthweight wheels. The HRE R101 LW wheels come starting at a mere 16lbs, making them a perfect addition to a high-performance vehicle build like this. Additionally, the HRE 101 LW comes with a well-known and appealin Y-Spoke design that helps with brake cooling and adds an improved visual enhancement to the vehicle. Furthermore, The R101 LW is specifically designed for individual vehicle models like the BMW M4, creating the ultimate in lightweight optimization for street and track use. Every vehicle model has a different load rating and power output, so we’ve utilized this data to redesign the R101 for each model application fine-tuning each detail of the wheel to remove weight and add stiffness where possible. Every vehicle model has a different load rating and power output. This means that HRE Wheels utilized this data to redesign the R101 for each model application fine-tuning each detail of the wheel to remove weight and add stiffness where possible. 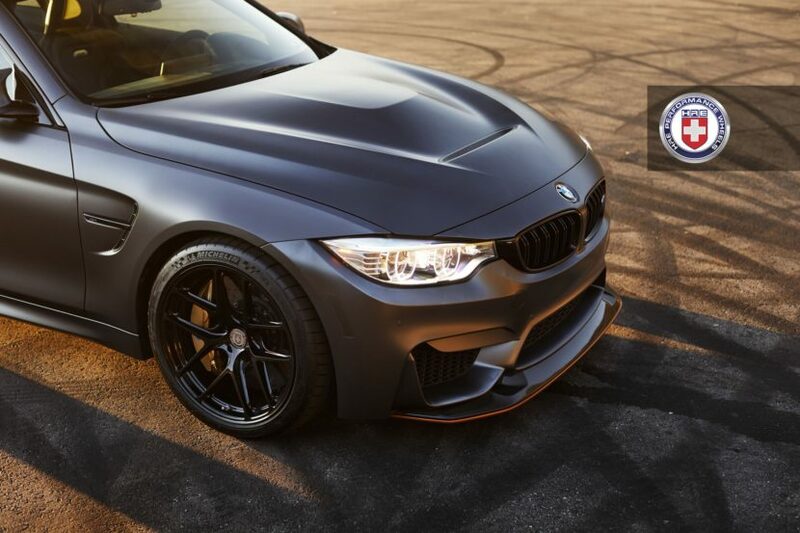 For this BMW M4 GTS, the wheels come sized 20×8.5 in the front and 20×10.5 in the rear, respectively. The wheels are finished with a gorgeous Gloss Black finish. The BMW M4 GTS is the ultimate, street-legal version of the much famed M4 high-performance coupe. The vehicle is powered by a 3.0 Liter BMW TwinPower Turbo engine delivering 493 horsepower and 443 lb-ft of peak torque. 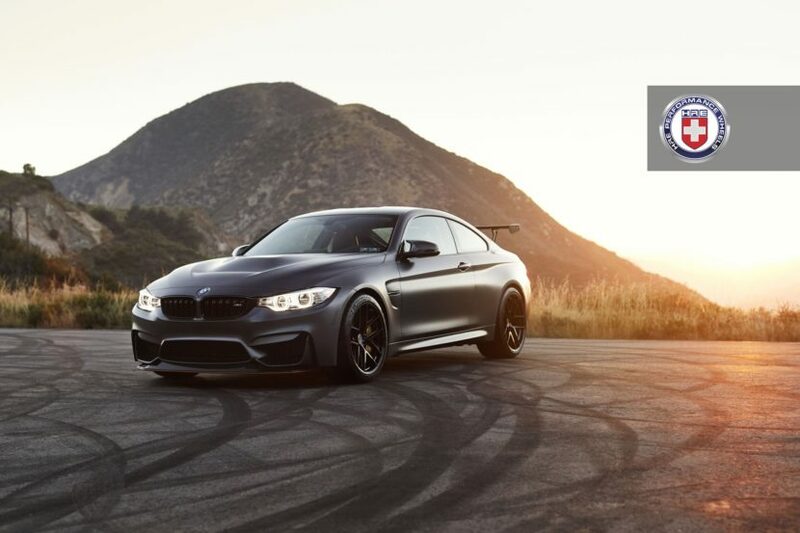 The power is harnessed through a 7-speed M Double Clutch Transmission with Drivelogic that allows the M4 GTS to roar from 0 to 60 mph in 3.6 seconds. 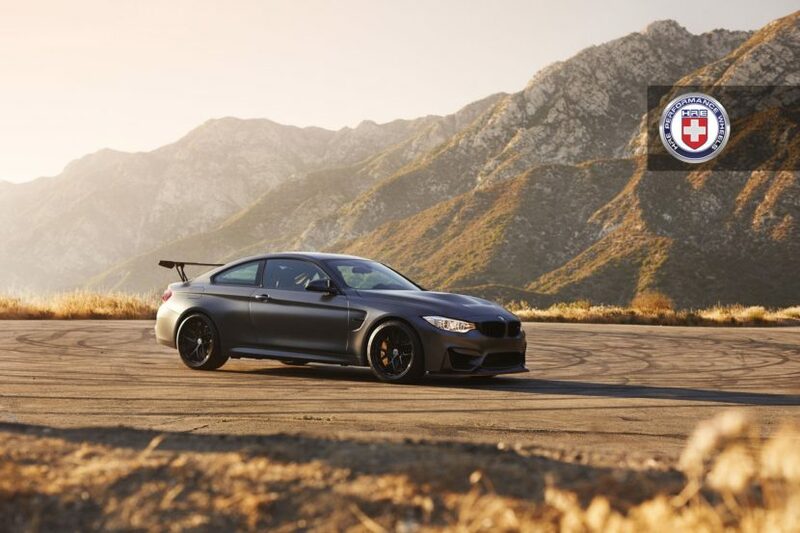 In a nutshell, the BMW M4 GTS is a race-bred car that utilizes the best from BMW’s engineering and design departments. You can check out the complete build gallery of this BMW M4 GTS right below.